For over 90 years, St. Louis, Missouri-based Purina has been dedicated to providing quality food for cats and dogs. 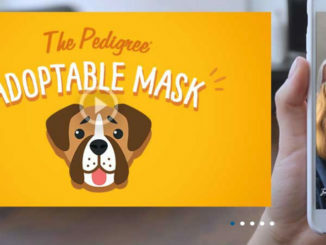 As of 2012, Nestlé Purina Petcare has grown to be the second-largest pet food company globally and the largest in the United States. 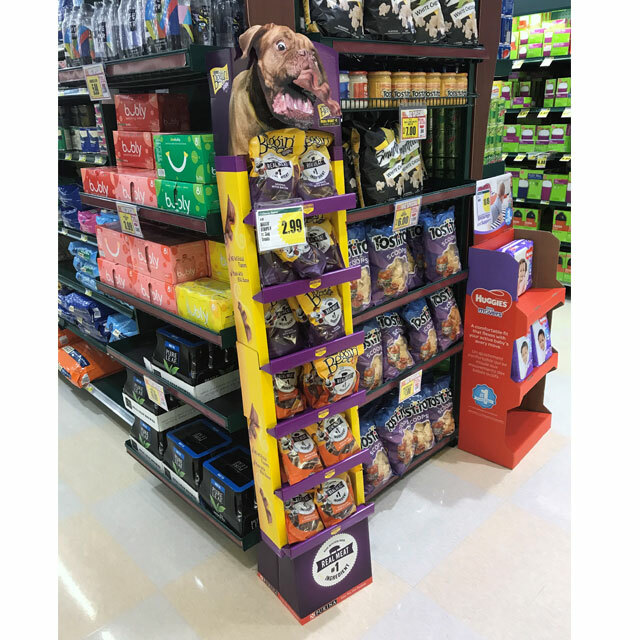 Recently, Purina was spotted at Harris Teeter promoting these delicious doggie treats in the brand’s revamped packaging. 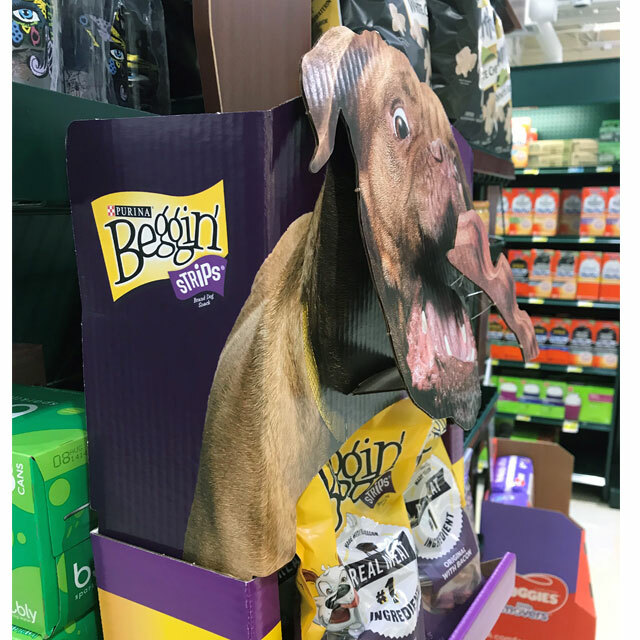 In addition to updated brand colors, the corrugated floor display did a great job of highlighting that Beggin’ Strips use Real Meat as their #1 ingredient. 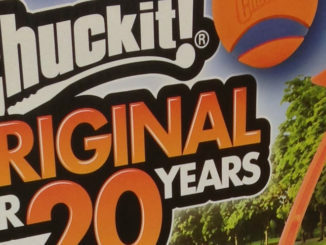 The riser was die cut to enable the dog’s face to be tilted, adding visual interest. Note how the tongue lug-on is ‘popped off’ with a plastic piece to create another dimensional layer. 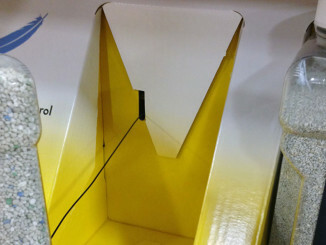 Also, check out the way the product shelves were constructed. 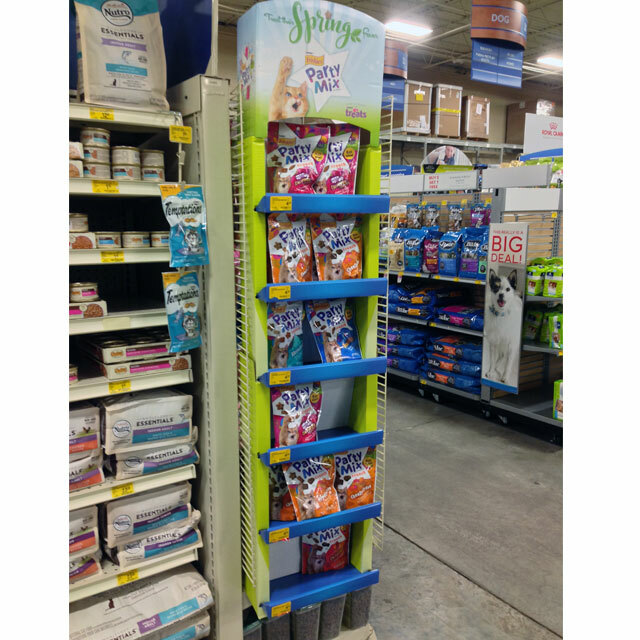 Purina used the same Beggin’ Strips tray structures to merchandise their Friskies Party Mix in this side kick display.